Turn a home into an art gallery in just a few clicks. Need Canvas Collage Grouping Ideas? Making Your Own Canvas Photo Collage Is Easier Than You Think! Step 2: Upload your shots. Step 3: Drag and drop. Empty walls tell no tales, right? So, fill them up with canvas collages and transform any hallway or stairwell into a lifetime of memories. You can turn all your photos into art in convenient, bundled groupings. Offer your clients a complete, professional package with a canvas wall display that captures a lifetime of memories. Or, treat yourself with a studio sample refresh. You can choose from one of our artist-inspired canvas grouping templates or make your own unique arrangement for any style of canvas and wall decor. Canvas collage groupings are the best way to display more of your clients’ memories in their homes and the photos look great on any wall. With so many important moments captured, it can be overwhelming to choose only one for print. 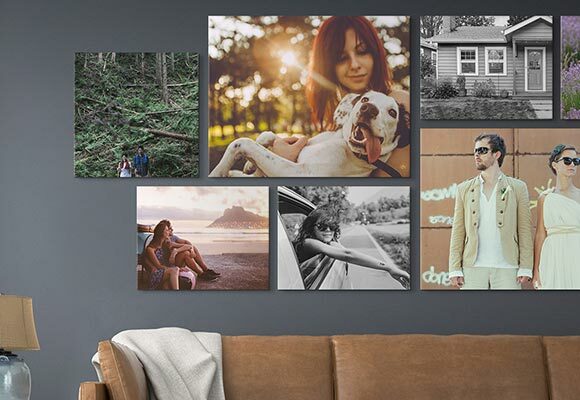 Luckily, our online canvas builder makes it super easy to design a canvas print collage as unique as your photos. 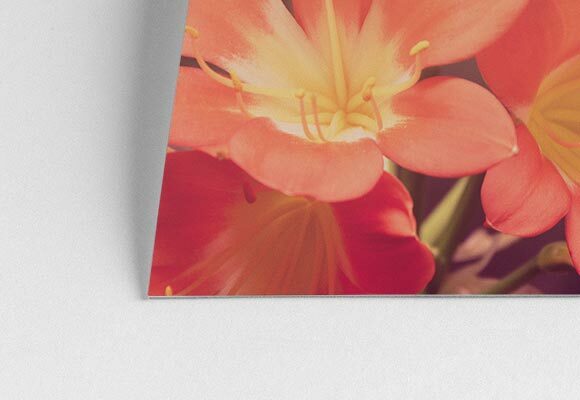 Making canvas collage prints from digital photos is our specialty, so we’ve made sure it's easy to add photos from your phone, computer, Facebook, or Instagram. Simply choose from our eight artist-inspired canvas grouping templates, drag and drop to make your own photo collage canvas. You can even download a PDF or PSD file of our canvas print collages to get a better idea of what your photos could look like together on a wall. Step 2: Upload your shots. All of your images will be available up top so you can easily grab any one you want. Step 3: Drag and drop. You can swap images or move them around to get the best canvas layouts for photos in your collection. Bonus Step: Add a frame. If you’d like to accent your photos so they really standout, you can enhance your canvas collage grouping in one click right in our online canvas builder. 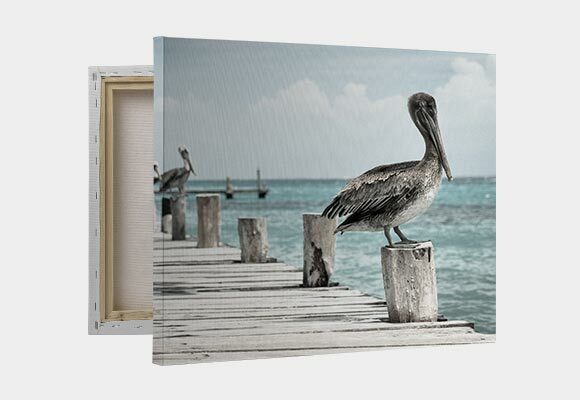 Floating frames are available for our solid-faced canvas wraps in black, white, and walnut finishes so they’re sure to look great with any home’s wall pictures. 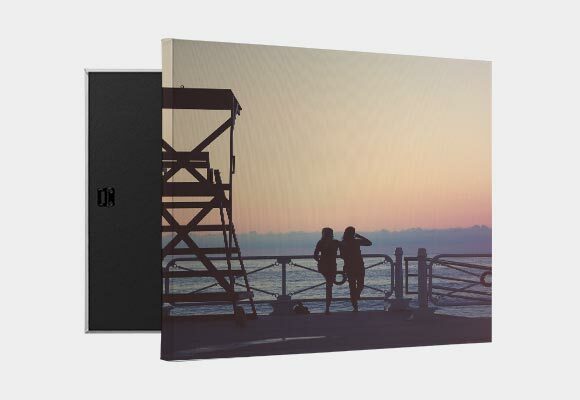 So how do you find the best canvas prints for your photos? Not all canvas prints are created equal. 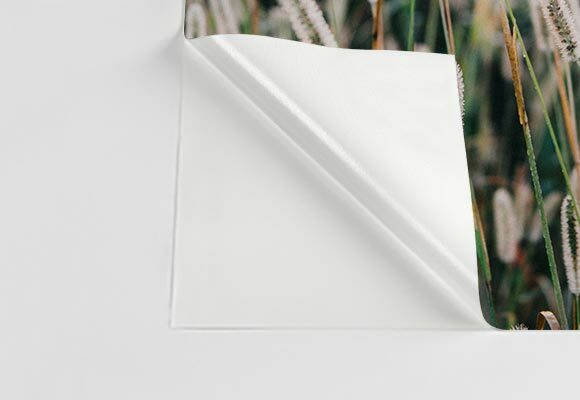 Many canvas gallery wraps are not constructed with a full frame inside, so they warp and sag. 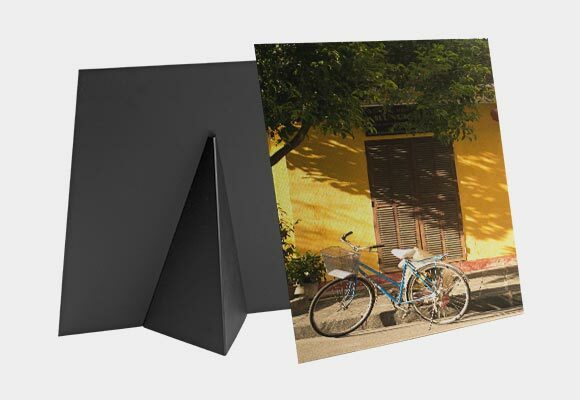 Most photo labs leave the back of the canvas wrap open, so there are tons of unsightly staples left exposed that can scratch a wall—not to mention all the dust they collect. 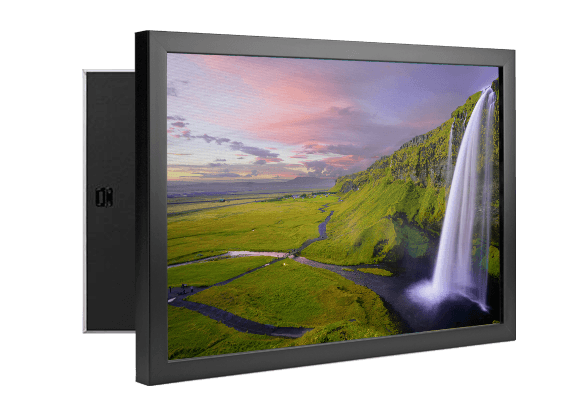 When you’re searching for high-quality canvas for your photos, you want to consider how it’s made, what inks and what types of printers are used, and if the photo lab uses any additives like optical brighteners (OBAs), which could wear down and damage your canvas over time. 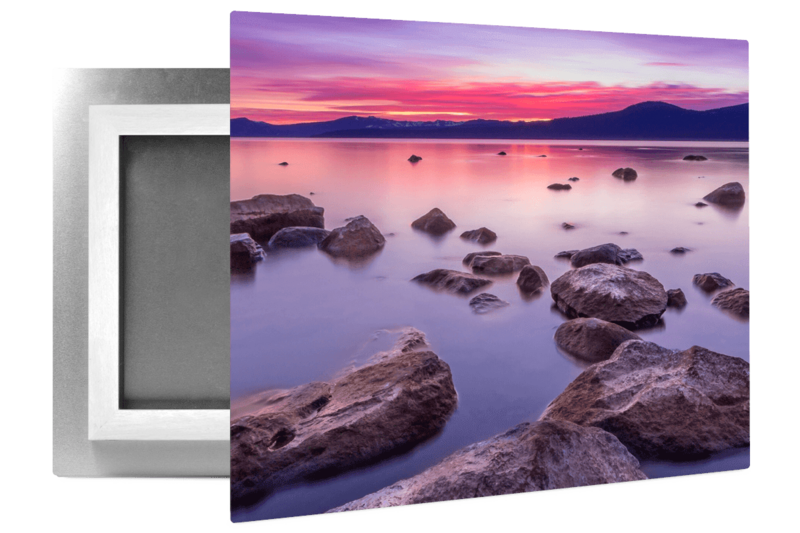 At CG Pro Prints, our canvases are built like no other. They feature a solid-faced front that you can push on with your hand and it still won’t give. It is designed with a full frame so it stays as taut and flat as they day it was made. We use eight-color inkjet printing to preserve as much fine detail as possible, with no over-saturation or color shifting. 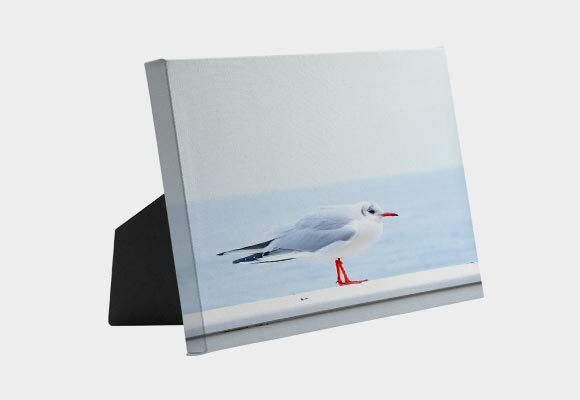 Each artist-grade canvas is OBA-free, so your photos will stand the test of time. 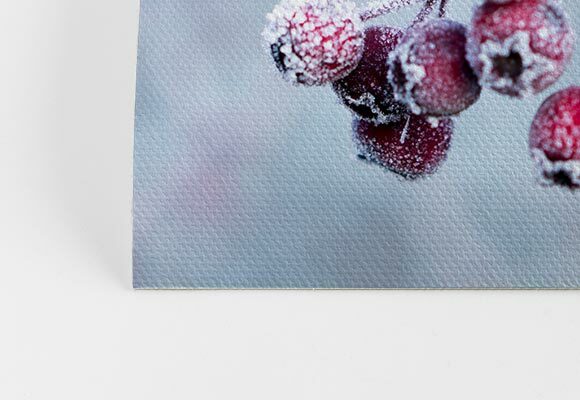 And, unlike any other canvas wrap, we seal the back for a clean, professional finish. There are no ugly staples or loose canvas. Plus, we pre-install hanging hardware, so you or your clients are ready to hang your wall art right out of the box when it arrives. When you’re busy growing your photography business, it helps if you can rely on consistent, everyday low prices. It helps you set margins that makes sense for your business and your unique clients, while still providing quality print products. We use patented, industry-leading processes and are cost conscious in everything we do. We take pride in being able to pass savings on to you, so you can “wow” your clients. A win for your client is a win for you, and it’s a win for us—that’s a lot of winning! 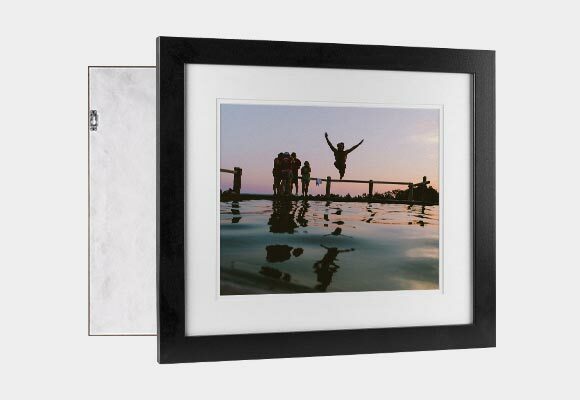 We know your clients are eager to see your amazing photos and display them on their walls. You may think it takes a long time to get a full collage of canvas prints. Nope! Just like all our products, our expert craftsmen build, make, and ship your wall art out within just three business days. 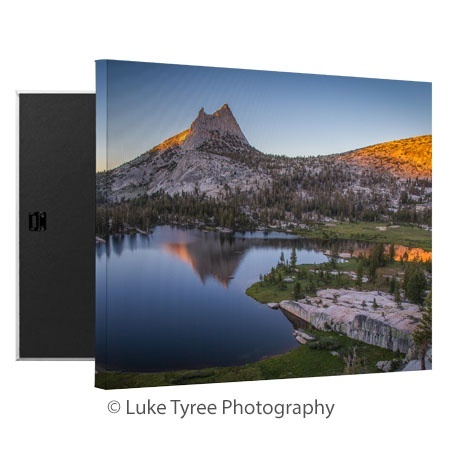 We pass each canvas print to the shipping guy on a satin pillow, so you’re sure to get it quick and in pristine condition (satin pillow not included). Print your memories and photos on a gallery wrap canvas prints collage today!